Ever since he was a young boy, there was no question that Mark Goddard (Howell) would become a good cop like his father Dale (Fahey). When bad guys gun down his whole family, it traumatizes him, but he grows up to become a police officer anyway - but naturally his unfortunate past has given him a chip on his shoulder and a proclivity towards violence. Sure, the recipients of said violence are criminal scum, and this allows him entry into a super-secret fraternity of criminal-killers called J.I. or “Justice Incorporated”. If you have nine kills to your credit, you are allowed entry. Even though the naturally suspicious Goddard is wary, he reluctantly joins because the leader, Molls (Lauter) is persuasive, his associate Rachel (Dalton) is seductive, and he gets to go on off-the-books missions and kill as many bad guys as he wants and still get paid. But the awesomeness of this setup quickly wears thin as Molls hides a sinister secret. All Goddard wants to do is see his son, and reconnect with his estranged wife Melissa (Gunn)...but will he get the chance before all his incredibly dangerous doings get to him first? This is an excellent movie. God bless PM, they’ve done it again. 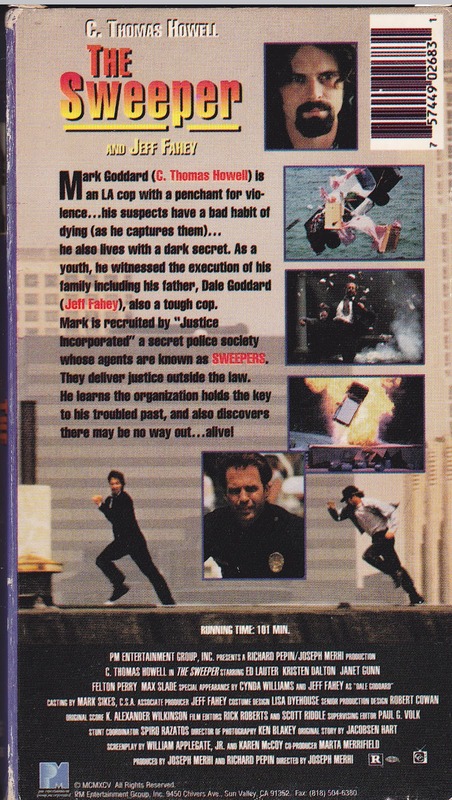 This ranks right up there with Zero Tolerance (1994) and Last Man Standing (1996) with the best of the PM’s. 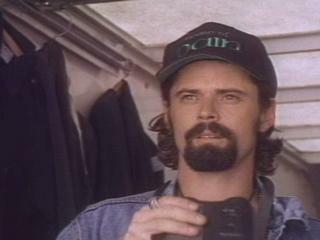 C. Thomas Howell is great as the troubled cop on the edge, and while other actors in this situation would have relied on simply having a goatee, sunglasses, necklaces and a leather vest, not to mention an awesome House of Pain baseball cap (all of which he has because he‘s a badass, duh), Howell actually adds a lot of care and subtlety to his role. You can see his rage issues and suspicions without him saying anything. It really is CTH at his best. Very under-appreciated. Speaking of things that are under-appreciated, this movie is packed with killer and hugely enjoyable stunts and action setpieces in the true PM tradition. It takes tons of work and skill to pull these things off, but they go by in such a flash, people tend not to think about all the talent, artistry and labor that goes into them. You’ve got to admit, PM brings it, and brings it hard, and you CAN’T not love it. There’s plenty of familiar faces on show as well, besides the aforementioned CTH, Dalton, Gunn and Lauter, there’s also John Ryan of American Cyborg: Steel Warrior (1993) fame as the head of the “Concrete Lion” gang, PM mainstay Kathrin Middleton, the legendary Felton Perry, and lastly Max Slade, who famously was one of the 3 Ninjas (1992). Of the supporting cast, we saved the best for last: Jeff Fahey. 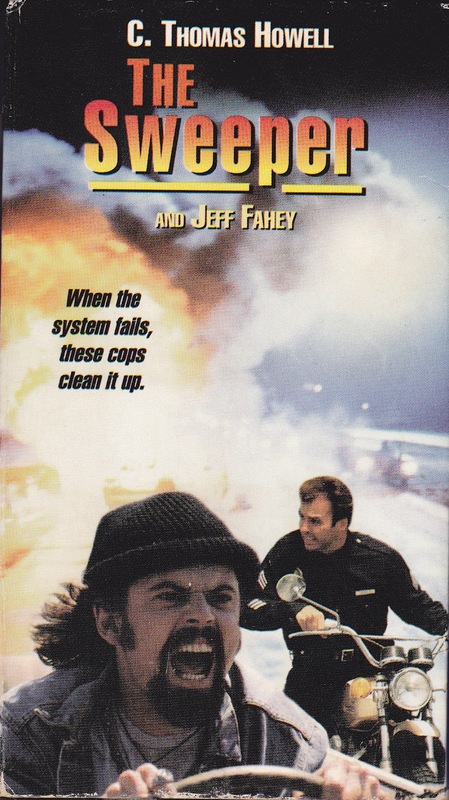 Perhaps the only flaw in this movie is that we would have liked to see more Fahey. His role is small. But it’s important and fits the plot, we understand. PM understands that stunts aren’t worth jack if you don’t have characters that you care about that are in danger. Thanks to some above average acting and writing, they can now marry that to their top-notch stuntwork. PM puts in actual effort and it pays off in dividends. We wholeheartedly recommend The Sweeper! Also check our buddies, Direct To Video Connoisseur's review and Cool Target's write-up! PM is virtually unmatched in the realm of DTV action films, only Nu Image comes close. Other favorite PM films of mine are: Cybertracker 1 and 2, Riot, No Tomorrow, Pure Danger, Steel Frontier, Deadly Target, Ring Of Fire 2 and 3, Guardian Angel, Rage, Renegade Force, Hologram Man and Executive Target. I was just thinking the other day that I need to watch some more PM movies. Thanks for the tip, ordering this now! Venom: Loved most of those too. Haven't seen: Cyber Tracker 2, Ring Of Fire 3 or Pure Danger. Will have to re-watch: No Tomorrow and Deadly Target. Coming soon we have write-ups for Guardian Angel, Rage and Steel Frontier. Jack: No problem. We are sure you will enjoy this one. Classic PM. Thanks for reminding me about this Ty, I had totally forgotten about it. Needless to say I just bought it. 4 stars is an exceptional rating. Awesome! Looking forward to your opinion. PM and C. Thomas Howell at their absolute best! 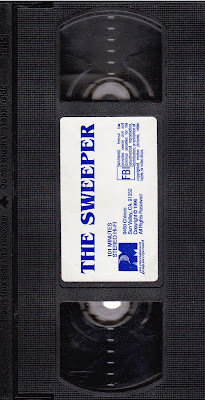 Haha, The Sweeper is way more exciting and it doesn't have CGI! Avengers was decent, but I like these types of films much better. Can't agree more. Gritty action movies are more entertaining than superhero movies. Just posted my review of this. Liked it alot. Great review! The Sweeper is a blast to watch. Nice review. I have the entire PM library. Thanks! That is really cool you own the entire PM collection!